"It really is unbelievable. 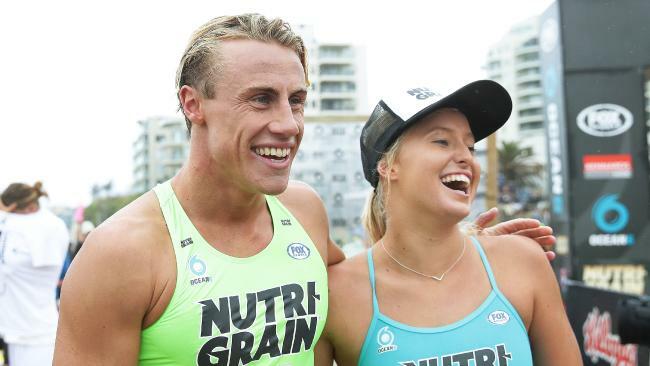 I really didn't expect this at all," said Cooper, who competed in last year's series as an unknown wildcard. "I didn't do very well and I really just wanted to prove this season I wasn't just a name on a pair of togs." Waiting to congratulate her was Bevilacqua, 25, who also overcame the odds to win his first professional men's title in five years of trying. 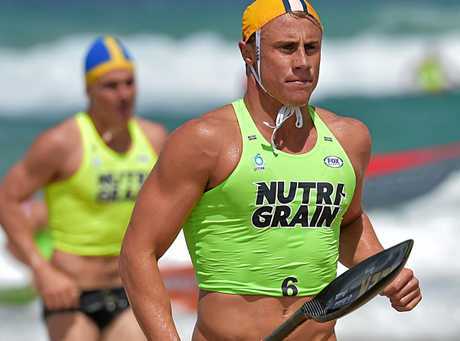 The Tasmanian lifesaver, now based on the Gold Coast with Cooper, had to beat rival and training partner Ali Day to claim his maiden crown - a feat he did with a second place over Day's third. "I had dreams of winning this series and to do it with Brielle is amazing. I can't deal. I can't believe it, " he said. "We just keep things calm and easy. We said this morning can't we stay in bed all day. It's dark and windy out there," he laughed. Lana Rogers, who grew up at Cronulla but is now based on the Sunshine Coast, won the women's round from Newport's Georgia Miller and North Bondi's Lizzie Welborn.